The Rebbe did not bring Torah to America, but the brought America to Torah. He brought Torah out of the academies and into the streets. Do you remember when Al Gore took credit for inventing the Internet? You have to love it when people come along decades after something is in place and claim to have discovered it. Christopher Columbus “discovered” America, right? Wrong. Natives lived here for thousands of years before Columbus arrived. China knew about America, the Russians and Vikings knew about it too. Only Europe was in the dark so when they finally join the party, they get to host it? What a hoot! We can’t judge Abraham as we do Columbus and Gore because we know him to be an upright, G-d fearing, righteous, truthful man. We must therefore conclude that though Noah established an academy for Torah study, he had relatively few students and had virtually no impact on the masses. The key difference between Noah and Abraham was that Abraham prayed on behalf of the people of Sodom and Noah was content to save himself; he never prayed for the people of his generation.. This difference also played out in the way they taught Torah. Noah wanted to study Torah and also felt the duty to teach Torah. He established an academy to welcome eager, sincere students. He welcomed them, but he didn’t seek them out. He welcomed them, but only accepted the sincere students. Abraham didn’t set up an academy nor did he have a screening process to weed out the insincere. Abraham traveled from village to village, hamlet to hamlet, to find the students. Abraham and Sarah taught Torah to anyone that would listen. Those who were interested learned a lot and in fact converted to monotheism. Those who were not as interested learned a little, but they all learned something. This gave Abraham a broad base of students and though the majority knew just a little, they knew enough to teach their children and their children had the option of learning more. Abraham never claimed to be the first to know G-d. Many knew G-d before Abraham. But he was the first to teach G-d to the broad masses. Knowledge known to only a few cannot survive. Knowledge made available to the masses has the best chance of survival. In this, Abraham was the pioneer. This weekend thousands of Chabad Rabbis from across the world will gather in Brooklyn, New York to conference, study and inspire. This conference was the brainchild of the Lubavitcher Rebbe of blessed memory, who sent these rabbis to the far flung posts that they serve today. When the Rebbe came to America there were many centers of Torah study, where young and old absorbed a great deal of Torah. Though America’s Jewish community paled in comparison to the European community, there were many Torah giants in America. Torah was taught and studied widely. The Rebbe did not bring Torah to America, but the brought America to Torah. He brought Torah out of the academies and into the streets. The Rebbe’s idea was to reach out and teach people what they want to learn. Some will learn about Passover, others about prayer. Some might learn about Chanukah, others about the Shofar, but everyone will learn something. The broader the base of students, the more entrenched it will be. And then the Rebbe said, what you learn, you can and should teach to others. Many became fully observant and joined the Torah academies. Many continue to do so. But many didn’t. They continued in their life pattern, but with the indelible imprint of the Rebbe’s reach. Rabbinic students on busy street corners offering to help Jews put on Teffilin, study Torah or learn how to light Shabbat candles became a common sight in almost every metropolis. For many years the Rebbe ensured that the New York Times print the time for candle lighting every Friday on its front page. The Rebbe never stopped. If there was a Jew in an unknown corner, the Rebbe wanted to know. He sent his emissaries to every location, popular and remote, in America and across the globe. 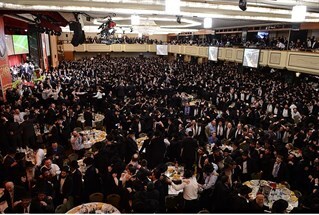 If you tune in on Sunday night at Chabad.org you will be able to join a live telecast of the gala banquet that with nearly five thousand rabbis and lay leaders. It is the largest meeting of Jewish leadership in the world. It is the Rebbe’s brain child and the Rebbe’s life work. His emissaries continue his mission and today it has spread even further afield. What was once a pioneering effort of a revolutionary few is now the hallmark of every Jewish organization and community. We have all adopted the Rebbe’s vision of embracing our fellow Jew and teaching what little or much we can. If all we know is Aleph, then Aleph is what we teach. But the moment we learn Bet, we embark on teaching Bet. The Rebbe followed the model of Abraham and today the Jewish world has adopted it too. Abraham called out in the name of G-d. Our sages explained that Abraham did not do the calling himself, he rallied others to do it with him. In his inaugural address in 1950, the Rebbe put his unique spin on it. If you want to succeed in calling for G-d, you must see to it that others call alongside you. This is how the Torah will survive. This is how Judaism will thrive. By the model of Abraham. 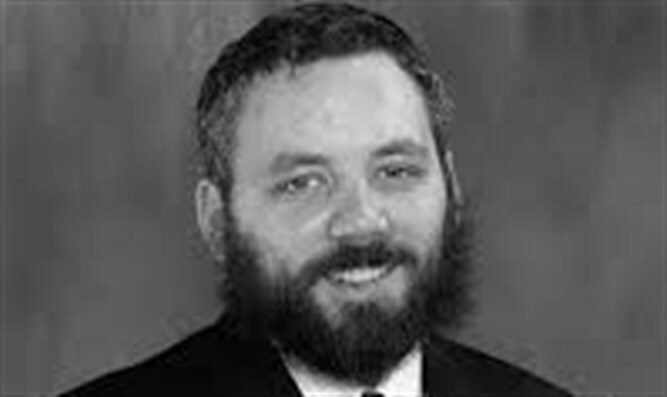 Drash Moshe, by Rabbi Moshe Feinstein ad loc. This is consistent with the Midrashic teaching (Bereshis Rabbah 30: 7) that Noah did indeed tell others of the impending flood, but only those who asked. End of chapter eight of his discourse Basie Legani, 10 Shvat, 5710.